Do you think a smart phone worth being insured? Maybe you purchased a tablet for your kids, and the tablet worth $400 and you spend $5 monthly to insure the tablet, and at the end of 3 yrs, not even a scratch on the tablet, isn't that a waste of money for insurance. But remember that in the other hand, if the tablet issued was faulty within few months, don't you think the insurance worth it. Insurance is very beneficial to most individuals and business because it serves many purposes. With insurance of any of your property, like Smart phones (Key topic) you get to have peace of mind because it's being insured, depending on the programs insurance policy. You also get to have an asset protection, that is, any damage or loss on the smart phone would be replaced by the insurance program. Insurance programs for smart phones help to lift the limitation of the warranty of the device, and doing that, some factors are being considered in which the insurance policy is likely to cover. § Insurance policy is also likely to cover loss of your smart phone and many more. But like I initiated previously, factors are to be considered while choosing an insurance program, like considering the monthly bill from the insurance program, compared to the price of your smart phone. Today's stroll, I would review the 5 best insurance or warranty programs to go for. Sqauretrade is known to be one of the coolest aftermarket insurance program for smart phone. It's really affordable with lower price and deductible. Square Trade has the regular plan with price $6.99 per month or $125 for 2 years with 25% discount. While the deductible is $99. It's coverage length is up to 1-5yrs, and this is depended on plan purchased. As for plans to be covered, plans like, accidental damage, electrical malfunction, mechanical malfunction, battery, water damage and many more. But plans like theft and loss can't be covered by the insurance program. From the program's insurance policy, the type of replacement is that, you would be given new or refurbished product of that smart phone insured, cash settlement is also included in there terms. Apple care is another great after-market insurance program for smart phones. It's cost goes for $99 for 2 yrs, that is, $4.13 monthly, but there policy don't accept monthly payments, it's a one time payment which lasts for 2 yrs. The deductible goes for $49 with a coverage length of 2yrs, and maximum of 2 replacement of the product or smart phone being insured. You can opt-in for the program after 30 days of purchase of the smart phone. About plan covers, it covers plans like, accidental damages, water damages, drops, mechanical malfunctions, electrical malfunctions, battery (that's if the battery don't last as long as it's being specified, 50% depletion) and also service cost. But loss and theft isn't included. It's type of replacement is very reliable with new and suitable performance of the device. Geek squad is a very reliable insurance program for smart phone users. I really appreciate there service because so many of my friends abroad have confirmed it suitable. Geek Squad insurance program actually extends the warranty of your smart phone, but it doesn't cover much plans on it's own. There price goes for $9.99 per month, which is also equivalent to $119.88 a year. And there is no price for deductible. It's coverage length lasts from 1-5 yrs, it all depends on the type of plan being purchased. And only one replacement can be made, a times more than one, regarding to how defective such device is. You can opt-in to the program, 30 days after device purchase. About plan covers, it covers plans like, accidental damages, water damages, drops, mechanical malfunctions, electrical malfunctions, battery (that's if the original rechargeable battery is also defective) and also service cost. But loss and theft isn't included. As for replacement of product insured, new or refurbished smart phone with quality performance would be given to you. I really recommend this insurance program for smart phone users. Protect your bubble is a very unique insurance program for smart phone users that do covers loss and theft. It's a very affordable insurance program that goes for $7.99 per month, which is also equivalent to $95.88 a year. It's deductible goes for $75 for basic phones, $100 for smart phones and $120 for iPhones. And it's coverage length lasts for 2 yrs. Only 2 replacements is allowed per year, which is very much cool. One negative side of this insurance program is that, you can opt-in 12 months after purchase of the product, which is damn long. I advice you go for this insurance program and place your smart phone with it, because it covers all plans, which also includes damages, water spill, loss, theft etc. 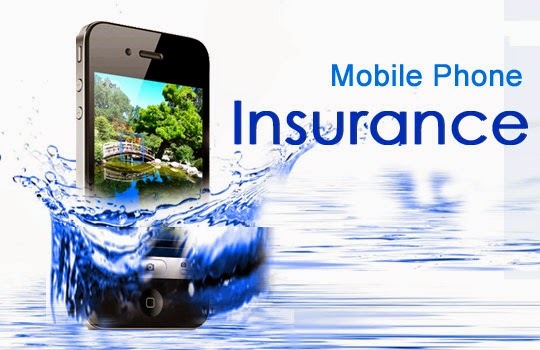 Mobile Rhino insurance program is regarded as the best insurance program for smart phones. Though the price and ducting cost is a bit high, it's still rated as the best insurance program for smart phones. The price goes for $129 personal plan, $119 business plan and $99 education plan while it's ducting goes for $99. As of the number of replacement offered, $1000 worth merchandise or 2 replacements per year. This insurance programs also covers all plan, which includes damages, loss, theft and many more. About the type of replacement, you would be given a brand new product, relating to same model with the former and it's equipment (may be re conditional). I really advice any smart phone user that knows his/her smart phone is worth being insured to opt-in to any of the insurance programs mentioned above. You might be wondering again if smart phones are worth being insured. Of course, smart phone worth it, mostly those expensive once, imagine you bought a smart phone worth $950 and you insured it, within few months, it was stolen or damaged, won't you be at great lost if you've not insured it? So be wise and and be on a safer side by insuring most of your smart phones and gadgets in any of the insurance and warranty programs mentioned above. Hi Chininso, it's a nice one you have here on smart phone insurance and warranty programs, I think Square Trade is the best. Square trade is a really cool smartphone insurance program, but seems like there cost is a little bit on the high side, but I love there coverage length, it's really great. You went with the best choice larry, Thanks for stopping by.